What happens if I get bullied? Above all else, bullying seems to be your biggest fear. You only have to read what current Year 7 students say about bullying to realise that they were as worried as you and that in reality it rarely ever happens. If it does happen to you CPS has a highly effective system to deal with bullying immediately. An assembly will be held at the start of the year to discuss this issue with you. What do I do if I get lost? There are maps to help you find your way around. The school map in your A to Z should give you a good start. The easiest thing to do is ask a fellow student, a member of staff or if you are really lost go to the student reception at the front of the school building. Strangely enough this was one of the big questions you asked the most. 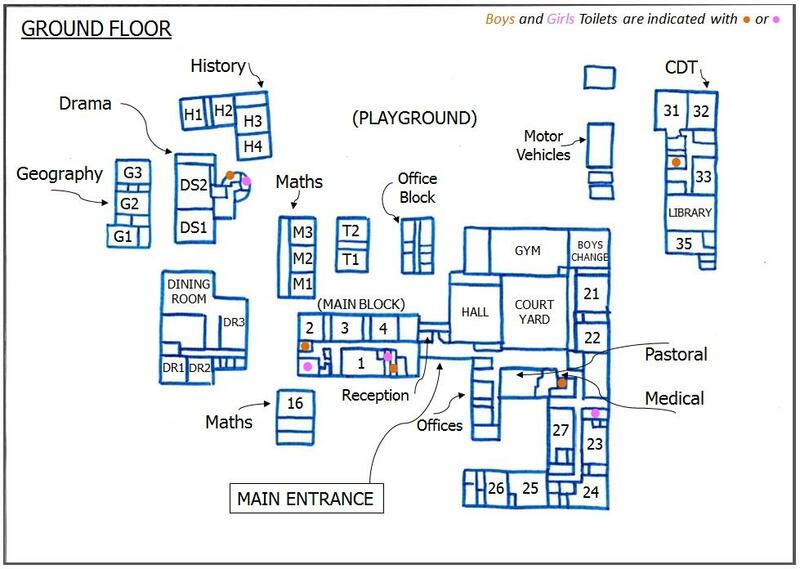 You can view a map of the school to find the location of all the girls and boys loos!! How many people are there in a tutor group? On average there are around 28-30. Will I be able to stay with my friends? The school tries really hard to keep you in a HOUSE group with at least one of your friends. This is so you can be competing for the same 'team' when it comes to House events such as Sports Day etc. However, we can't promise that you will be in the same tutor group. Registration lasts for 25 minutes in the morning and students are encouraged to sit in mixed year groups. Lessons are taught in mixed ability groups and so will be different to your morning tutor group as well. Is it easy to make friends? Another one of your questions that cropped up time and time again. The simple answer is YES! You'll be amazed at how quickly you get to know your know your fellow classmates and by the end of the first week your phone will be ‘bulging’ with new names and contacts. Look at the advice from year 7 to see what they have said about making new friends. How long have you got? There are so many opportunities for sports and PE activities here. All of them are absolutely lovely!!!!! What subjects will I do in year 7? Are there any school clubs? There are plenty of school clubs. 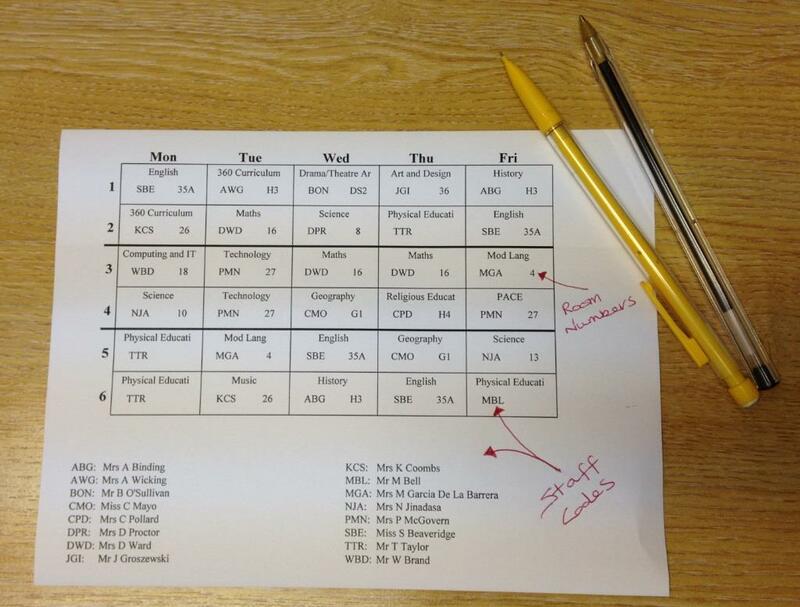 Information about these will be announced or displayed in your tutor group or in the various departments. Remember, if in doubt, just ask your tutor or teacher. Do we have to be in Class and on time for the first couple of weeks? The simple answer is Yes, but as with any new place it might take you a while to find your way around comfortably. Teachers will allow a short amount of time within the first week or so, the important thing to remember is, don't worry, if you get lost ask a fellow student or teacher or check the map in your guide. How do we know what meals are for lunch? Each day's menus are displayed outside the cafe. What if I get stuck doing work? Your Teacher and Tutor are always there to help and will always try to help. If you are stuck with something in your homework, go and find the Teacher at lunchtime and ask them to explain it again. Your fellow students are also on hand so don't forget to ask them too. What type of rewards do we get? In a lesson you might receive a 'house point' for good work or behaviour. If you receive 8 'house points' you are awarded with an 'Achievement Point'. You can also receive 'Achievement Points' for working 'above and beyond' or going the extra mile. Achievment Points are logged on your school record and can earn you even more rewards as an individual and for your House. A class group can earn a 'Year Point' for your year group. This go towards a Mufti Day when your year reaches 50. Termly, we hold a Celebration House Assembly where students who have excelled in lessons, tutor time, achievement, attendance etc are recognised and celebrated. Do we have pegs and lockers to keep our belongings in? Not necessarily. You can purchase a locker at a cost of £5 (£2 is returned at the end of the year in exchange for your key). You will need to be prepared and carry with you what you need for that specific day. A good strong, comfortable rucksack is essential. When you have P.E. lessons all of your belongings are locked safely away in the changing rooms. What musical instruments are there? The music department has a fairly good range of instruments on hand, with plenty of electric keyboards to help you brush up on your musical skills. There are also guitars for use in lessons.